Algar Parts: The World’s Largest Online Ferrari Parts Store™. 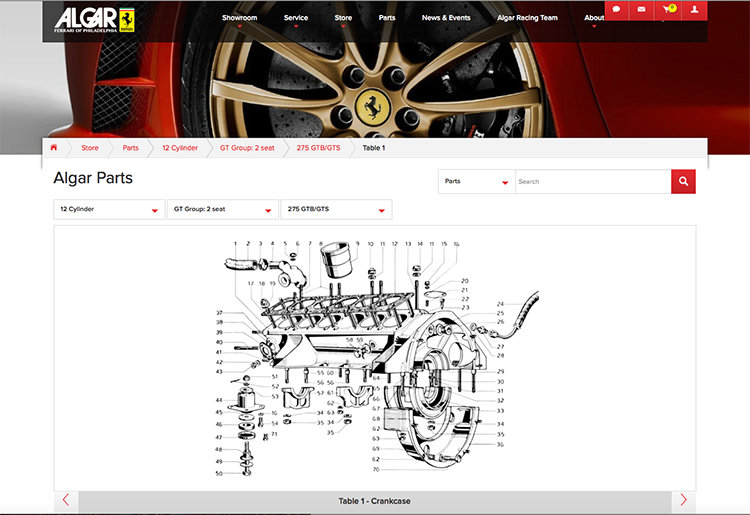 Brand Flights collaborated with Algar’s Parts Team, which is one of the oldest and most knowledgable Ferrari Dealer Parts stores in North America to create an online parts resource that even Ferrari s.p.a is looking to replicate. Algar Ferrari now has a complete range of 53 online manuals and over 75,000 parts in-stock from the Ferrari 275 to the LaFerrari. Thanks to the incredible team at Algar Ferrari for creating this amazing online parts experience.